Please give us some information about your vehicle below. 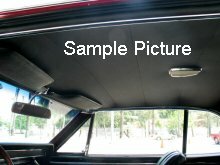 In order to correctly make your headliner, we need the following information. If you select "Other", please supply the correct information	in the detail line.